DIVISION is a boutique music agency specialising in events, festivals and touring. 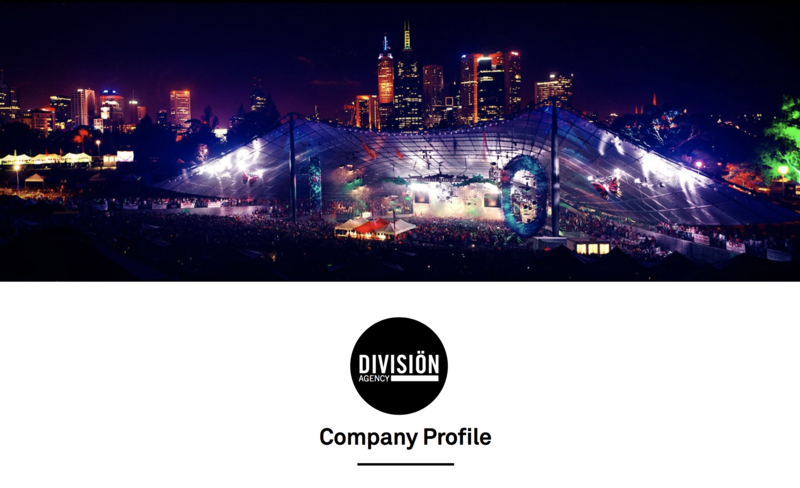 Division Agency is a youth focused entertainment company, established with the objective of presenting major music festivals, events, national tours and showcasing world-class entertainment at some of Australia’s most iconic venues and cultural landmarks. 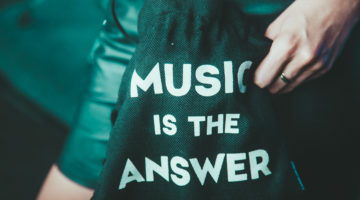 Division has a simple philosophy and clear focus on the industry facets that matter the most – the music, the people, the artists and the delivered experience. Division prides itself on being an arbiter of taste and a pioneer in the market, offering artists and lifestyle enterprises the opportunity to shine. By pushing new sounds, experiences and concepts, Division has cemented its position at the forefront of electronic music and has been responsible for bringing some of the biggest global artists and brands to Australia as well as creating respected, home- grown touring event brands. 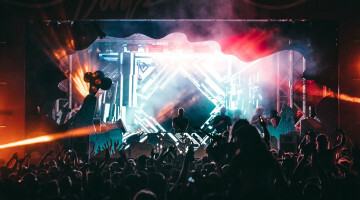 In the last year alone, Division’s busy schedule has included the launch of two new boutique festivals for Sydney, “Days Like This Festival” and “Knee Deep In Sydney,” plus a slew of large scale events held at the legendary open-air venue, The Greenwood Hotel. With a decades-long track record for excellence in events, Scott is recognized as a leader in the global electronic music world. His resume is packed with staging events featuring the most renowned and respected artists on the globe, from The Chemical Brothers, The Prodigy, Deadmau5, Eric Prydz, Swedish House Mafia, Avicii, Skrillex, Fatboy Slim, Armin Van Buuren, Knife Party, Sven Vath, Richie Hawtin to Dubire, Sasha, Maya Jane Coles, Seth Troxler, Jamie Jones, Loco Dice, John Digweed, Boys Noize and many more. 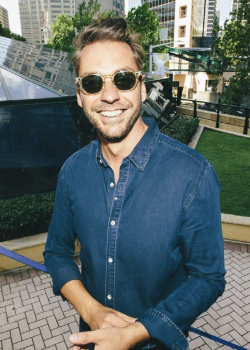 A native of Scotland, Robertson relocated to Australia in pursuit of a sunny climate and fresh opportunities in the live entertainment space. 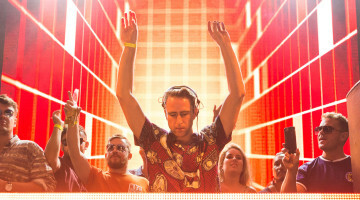 Among his early achievements, Robertson masterminded the now legendary club brand KINK which collected best club night awards from both 3D Magazine and InTheMix. 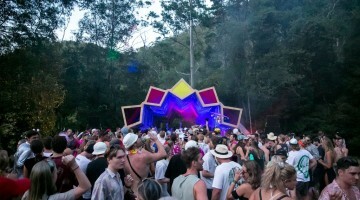 Along the electronic music path, Robertson held reign for ve years at Sydney’s ArtHouse and scored residencies across the nation whilst on compilation drops via Ministry Of Sound. And he went on to design and build his rst nightclub venue Nevermind, which boasting an enviable Funktion-One sound system and a lineup of some of the world’s highest-pro le DJs and artists, from Luciano to Danny Tenaglia, who performed his legendary eight-hour One Night Only set. Awards and recognition continued to pour in. 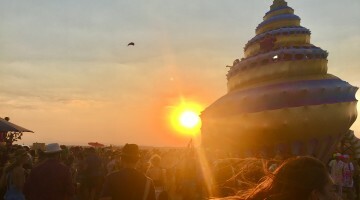 Future Music Festival and Summadayze won best festival in every state for a number of years, and Cream Magazine identi ed the entrepreneur as its “hot promoter” of the year. On a handful of occasions, Robertson has been invited to share his views on the industry from the stage of Sydney’s EMC conference. Division’s high pro le hospitality clientsalsoinclude three contemporary new venues that Scott has spearheaded over the last 12 months in Sydney: Seadeck, a 450 pax three-level luxury lifestyle vessel; Goodbar, a two level cutting edge nightclub at 11a Oxford St, Paddington, with its policy for pushing forward-thinking underground music; and Brick Lane, Double Bay’s newest bar and restaurant. Robertson continues to innovate in the live entertainment space, with a full-house for every show at Greenwood over the summer season and the launch of two festivals, Knee Deep In Sydney and Days Like This Festival, both at Royal Randwick. A pioneer of the Australian live entertainment industry with more than 25 years’ experience at the cutting edge, Ayoubi was the mastermind behind some of Australia’s leading festival brands, including Future Music Festival, Summadayze, Two Tribes and Good Life. He brought a multitude of major international festivals to Australia including Ministry of Sound, Global Gathering, Gatecrasher and God’s Kitchen, he innovated the underage festival space, and with the Future Music Festival triggered an unprecedented expansion into the Asian market. Over his career, Ayoubi and his team have produced and promoted more than 1,000 artist tours featuring some of the world’s biggest names in pop, rock, urban and electronic dance music, from The Prodigy to The Stone Roses, The Chemical Brothers, Katy Perry, Robbie Williams, James Brown, Avicii , Drake and Fatboy Slim, among many others. With Ayoubi at the helm, Future Music Festival would grow into a touring juggernaut, shifting more than 220,000 tickets across its annual pilgrimage, making it one of the most popular events of its kind on the planet. Future’s late summer jaunt would regularly play out to more than 60,000 party-goers at each stop on its Australasian route and the festival employed more than 100 staff. 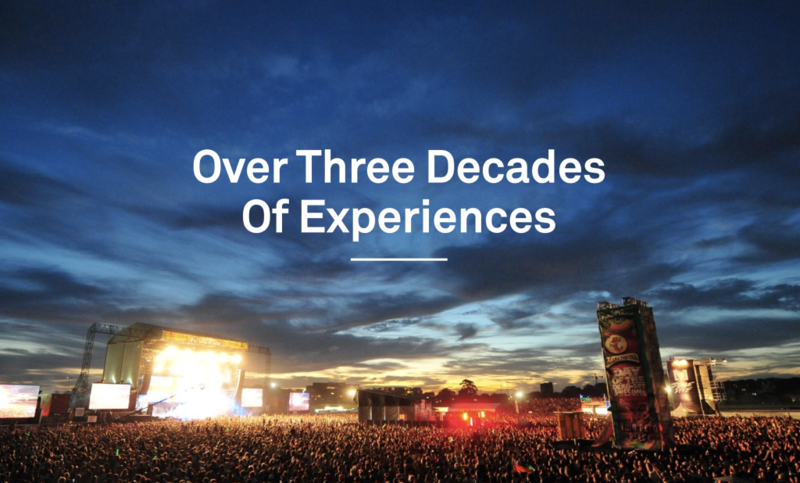 And in a first for the live biz, Ayoubi orchestrated the historic Malaysian edition of Future Music Festival in 2012, through a partnership with local event operators LiveScape. No other Australian festival brand has tested that market. A respected entrepreneur, Ayoubi’s achievements have been recognized by his peers with entry in the Business Review Weekly’s list of top 50 Australian impresarios and he was feted as one of the “most powerful people” in the industry by the Australian Music Industry Directory. 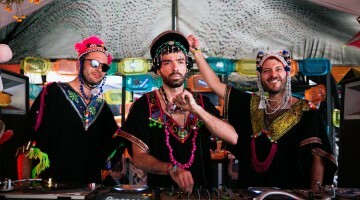 Future is a multiple winner of the best festival category at the In The Mix awards, and Ayoubi has been identified as one of the most important players in EDM (electronic dance music). After pursuing a promising career in economics, Ayoubi found his calling in Melbourne’s nightclubs. Economics’ loss was music’s gain. His talents were spotted early and before long Ayoubi was appointed assistant manager of the city’s Paladin nightclub and then, in 1994, he was promoted to general manager. 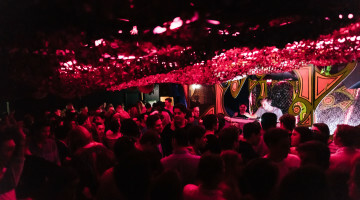 It was at this time the Paladin was voted “best club” by Melbourne’s respected newspaper “The Age.” Ayoubi was actively carving out a reputation for running clubs and shaping the face of Melbourne’s nightlife scene. After successful stints running Razor’s Savage and the Billboard nightclub in Melbourne’s CBD, Ayoubi took on duties as general manager of the renowned Mansion nightclub in 1995, and with it a shareholding in the business. With Ayoubi calling the shots, Mansion enjoyed unprecedented levels of success, and earned plaudits from the respected international music magazines “DJ” and “Ministry”. The opportunity allowed its general manager to spread his wings on the creative side, and it was at Mansion where Ayoubi joined forces with Mark James to bring the international Orbit brand to Melbourne. The partnership would prove to be a formidable one. 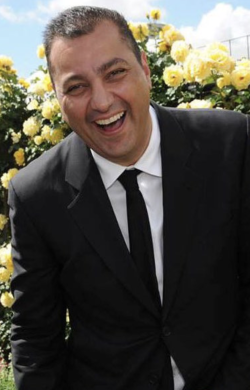 With James, Ayoubi went on to spearhead the youth focused entertainment and marketing company Future Entertainment, incorporating the business in 1995. In the years that followed the business would emerge as one of the world’s most recognizable entertainment brands. The timing was perfect. Future became a force just as Australia’s festivals scene exploded. In his role as owner and operator of Future Entertainment’s various businesses, Ayoubi has been hands-on with all aspects of live event organizing, from developing, marketing, planning and designing and liaising with all the relevant authorities, from council, through emergency services, government departments and sponsors. Ayoubi also recognizes the importance of proactively shaping the live industry and participating in the bodies which govern the business. 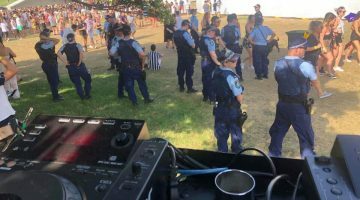 He has contributed considerable time and expertise in the creation and revision of the Code of Practice for Safer Music Festivals with the support of the Australian Government’s Department of Health. The entrepreneur was also a key member of the working party to form a code of practice for running safer dance parties, published by Victorian Department of Human Services. Ayoubi has served as joint chairman of the Dance Industry Association, for which he is a founding member. With his wealth of experience, Ayoubi is an in-demand speaker on the conference circuit, having participated in panel discussions on stage for the Electronic Music Conference, the International Music Summit (IMS), the Venue Management Association’s Asia-Pacific Congress, the Festivals and Events Association Summit and the Push FReeZA Summit. Away from the big stage, the most important people in Ayoubi’s life are his two sons, Hudson and Dillon. The Melbournian is also a passionate supporter of the AFL’s Hawthorn Football Club, a team he has followed closely since childhood. Though he prefers to watch football from the sidelines, Ayoubi still unleashes his competitive streak on the golf course and cricket pitch. He actively gives back to the community through his support of the charities Starlight Foundation and Kids with Cancer. Fresh from a two-year sabbatical during which time he focused on family, hospitality investments and interests in Asia, Ayoubi returns refreshed and excited to reunite with Scott. The pair will build a new Australian entertainment hospitality and events empire.